Police in Elyria, North Olmsted and Cleveland are teaming up to slow down scrap metal thefts at Northeast Ohio big box stores. Sgt. Andy Izzo, with the Cleveland Environmental Crimes Task Force told News 5 if local police departments work together it will result in more arrests and stiffer penalties for scrap metal thieves. Izzo pointed to an ongoing case involving Home Depot locations in Elyria and North Olmsted. 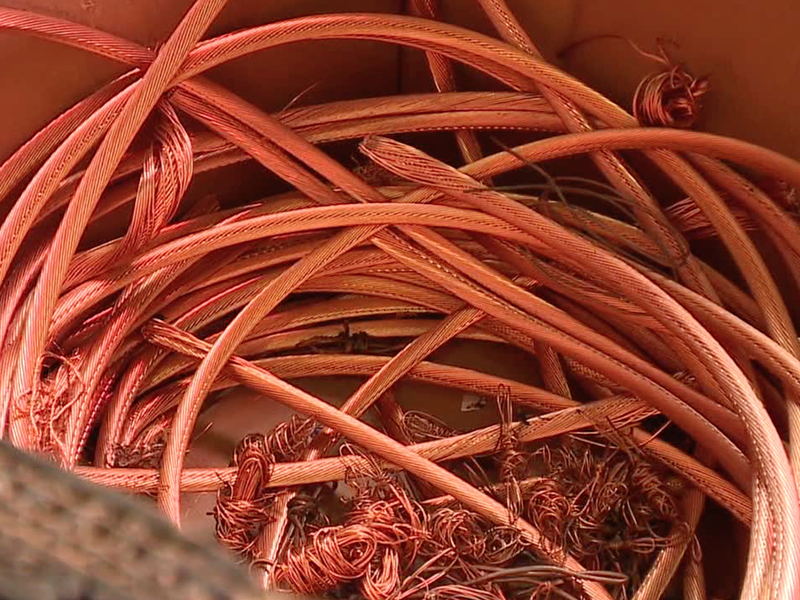 Elyria police said they arrested and charged 41-year-old William Slater for allegedly stealing nearly $700 dollars in copper wire from the Home Depot on Market Drive. Izzo said Slater allegedly loaded spools of the copper wire into a shopping cart, and said Slater allegedly hit the same store dozens of times. "He walked out of the store with stolen metal 20 or 30 times in a month, and was paid out $5000 in a month," Izzo said. "Ohio is the number one state in scrap metal thefts since 2011, and now they are hitting big box stores." Izzo said he put out a statewide bulletin on the case, and that's when he was contacted by investigators in North Olmsted and Elyria. He reports local Walmart locations and other home improvements stores have also been targeted. Izzo said it's critical northeast Ohio scrap yards contact police if they believe someone is trying to sell them stolen merchandise. "You can’t imagine the extremes that people are going to, to be able to get that drug hit," Izzo said. "We’re gonna take all these cases to one venue, Cuyahoga County, and we’re going to try to charge them through the grand jury at the felony level."